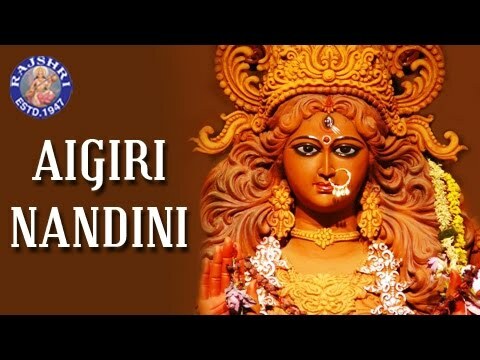 'Aigiri Nandini Nanditha Medhini' is a very popular Durga Devi Stotram. Mahishasur Mardini is an incarnation of Goddess Durga which was created to kill the demon Mahishasur. 'Aigiri Nandini' is addressed to Goddess Mahishasur Mardini. Mahishasur Mardini is the fierce form of Goddess Durga where she is depicted with 10 arms, riding on a lion and carrying weapons.